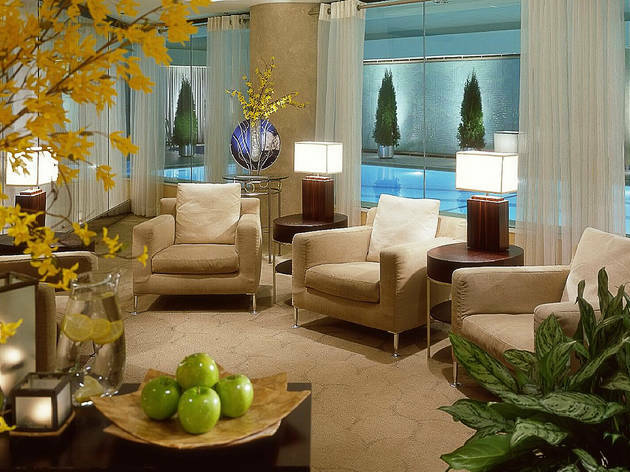 Elegance and sophistication abound at this spa, which is housed inside the Ritz-Carlton. It (annoyingly) decided that you can't get a treatment here unless you are a guest at the hotel, but the services on offer are so good, they're worth the night at the (not-too-shabby) Ritz. Try the Punta Mita massage (85 minutes for $185), which uses tequila and sage to cleanse and detoxify the body, leaving you tipsy with health. While the treatments are expensive, the added perks at every turn make you feel like you're getting your money's worth. 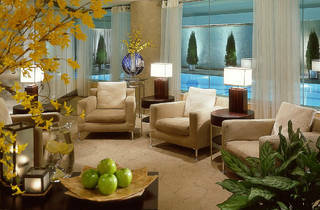 Everyone who uses the spa gets to spend the rest of the day in the gorgeous pool, Jacuzzi, steam room and sauna. If you're motivated, you could also use the fitness center. You'll also be treated to complimentary coffee, tea and juice. El stop: Red to Chicago. Bus: 65, 145, 147.